In 1960 my dad was part of the crew of the USS Triton, a Navy nuclear-powered submarine that was the first vessel to circumnavigate the world submerged. The trip, which followed the first circumnavigation of Ferdinand Magellan, began on February 25, 1960 under the command of Captain Edward Beach. The voyage covered 26,723 nautical miles and took 60 days with an average speed of 21 mph). 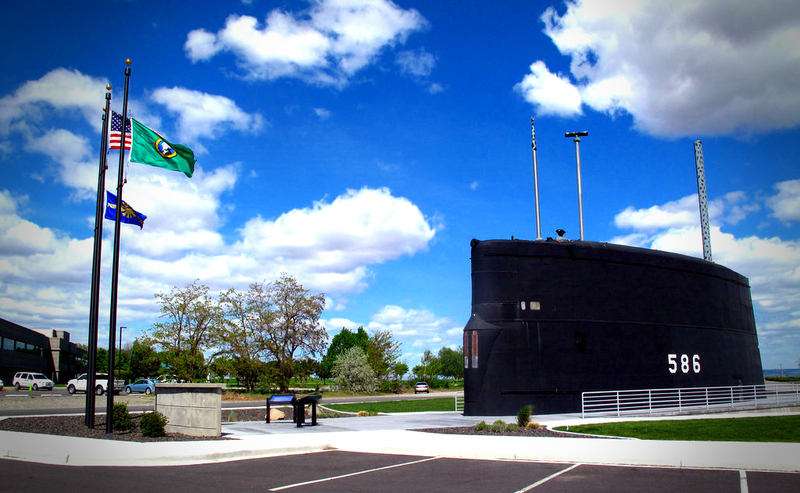 On Sunday dear daughter and I stopped at the USS Triton Submarine Park in Richland, Washington. The purpose of the park is “to establish a permanent park in north Richland in recognition of all the decommissioned reactor cores off-loaded at the Port’s barge slip, transported and stored at the Hanford Site”. 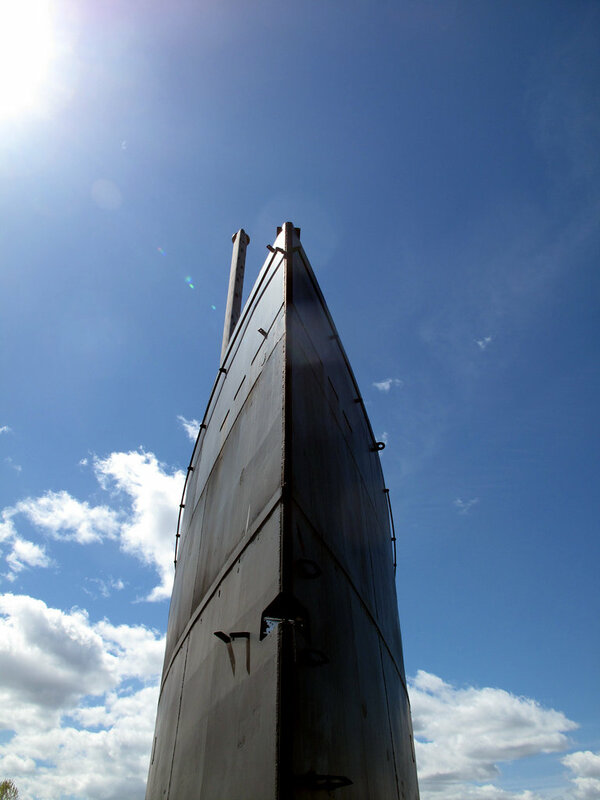 The park, which was dedicated November 10, 2011, features the conning tower of the Triton. This entry was posted in Uncategorized and tagged conning tower, Edward Beach, Ferdinand Magellan, Navy circumnavigation, Park, Richland, USS Triton, USS Triton Submarine Park on May 1, 2013 by admin. Great picture! I was a member of the crew from August 1964 to Sept 1966 and this picture brought back some interesting memories. Thanks for posting it.